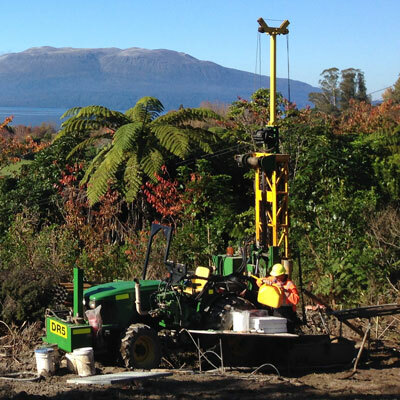 Drillcore is a quality geotechnical service provider located in the Central North Island (Rotorua). Established in 2013, we have completed successful drilling investigation projects around New Zealand. Drillcore is committed to building a positive relationship with our clients by providing safe, productive, and cost effective drilling solutions. 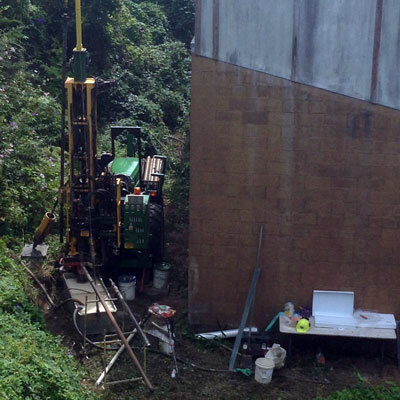 DR 5 John Deere Explora 85 Tractor-Mounted Drill Rig - A versatile compact Geotechnical Drill Rig. GEORIG 220 - Designed for CPT/CPTU and static penetration and has a pushing capacity of 200 kN. Also: Temporary fences, Compressor, Light tower. Drillcore began operating with the philosophy: A happy crew is a safe and productive crew. Drillcore is its people: Having an experienced crew on site for our clients to achieve excellent results and having a friendly service. Team work: This plays a key role in having completed successful projects on time and within budget. Also: Equipment, respect for the environment, health and safety, Drillcore staff. 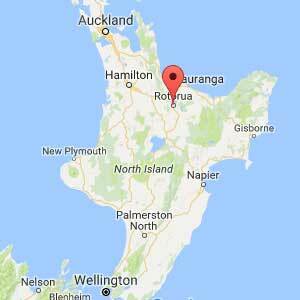 We cover the entire North Island of New Zealand including: Northland, Auckland, Waikato, Bay of Plenty, Gisborne, Taranaki, Manawatu-Wanganui, Hawkes Bay, Wellington.